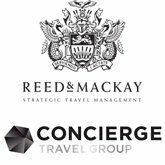 Reed & Mackay has acquired Concierge Travel Group, an Australian travel management company. The purchase extends Reed & Mackay’s footprint across the Asia/Pacific region following its launch in Singapore in May 2018. The company has been growing globally in recent years. David Greenland, Concierge’s CEO, and Jamie Strickland, general manager, will remain as part of the management team in Australia and will continue to lead the business. Fred Stratford, Reed & Mackay's CEO, said Australia is an important strategic market for his company’s business as it has many clients in the region. He said Concierge is known for delivering service of the highest quality, “and I look forward to working closely with David Greenland and his team to deliver a unique proposition to the market.” Concierge was founded in 1979 and is headquartered in Sydney.